A young girl in the village, Chame Jogo, prematurely gave birth to a baby girl named Emma. Emma was so tiny that it was hard to believe she would survive long; the odds were very much stacked against her with the region having a 35% infant mortality rate. One of Nema’s trained health volunteers visited Chame, explaining to her how she could help her baby survive. Although they visited the clinic regularly, after six months Emma was still tiny and very weak. 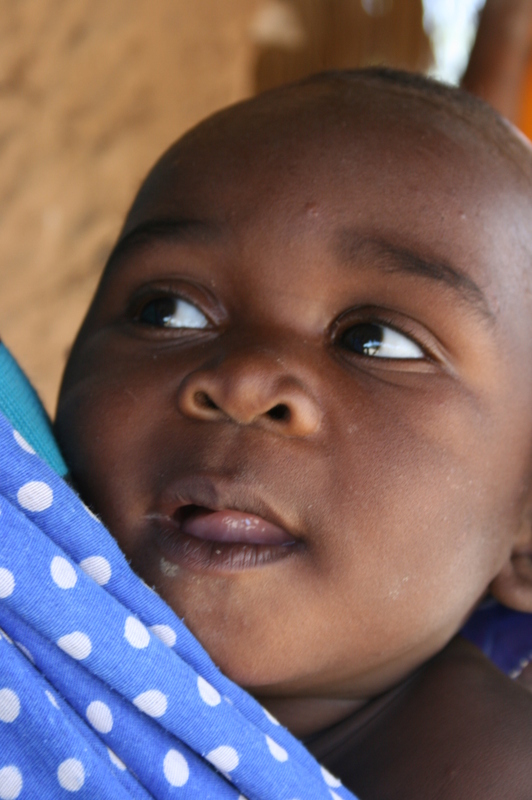 Through the Nema nutrition workshop, Chame became aware her baby was malnourished. She was shown how to make papa (porridge) from locally found ingredients, giving Emma the nutrients needed to develop healthily. Emma is now a beautiful, healthy, chubby little girl (above). Without the help and support of the Nema volunteers she would have almost certainly not survived. Global Angels has funded this nutrition workshop and clinics to help mothers like Chame learn how to look after their babies and provide them with nutritional food to ensure they live healthily. It takes so little to do so much. It’s not surprising that this project is one of the favourites among mothers in the region. So far, training has been completed in four villages in the Guludo area. Please help us expand to cover more. A series of three nutrition workshops for up to six mothers costs just £10 to run but quite literally saves lives. 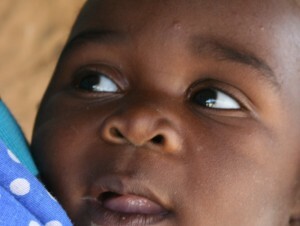 Step Up and equip village mothers to save their babies lives.